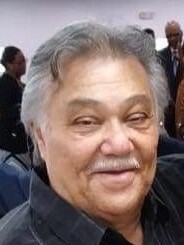 Victor “Yuito” Agosto Rios passed away on August 21, 2018 in the care of Nanticoke Memorial Hospital in Seaford, DE. He was 70 years old. Born in Ciales, Puerto Rico on October 1, 1947, he was the son of Ellias And Adella Rios Agosto. He was a dry wall and carpenter contractor, having worked for Bruce Eckerd Company. Victor was a good husband, father, and grandfather. He was a very dependable “jack of all trades” who helped everyone he could. Victor loved music, played the guitar and liked Westerns, Cartoons, and Karate movies. He was a man of devoted prayers and a member of St. John 2nd Baptist Church in Millsboro. He is survived by his beloved wife, Thelma Agosto and two children, Antonio Agosto and Tashonna Agosto; five sisters and three brothers; four grandchildren and two great-grandchildren; four sisters-in-law, two brothers-in-law, and mother-in-law, Retha M. Jones; a host of nieces, nephews, cousins, extended family and friends. A Celebration of His Life will be held on Saturday, August 25, 2018 at St. John 2nd Baptist Church, Mount Joy Rd, Millsboro. Viewing and visitation will be from 10:00 AM till 12:00 Noon, with a funeral service conducted by Pastor Annie Jane Custis. Interment follows in St. John 2nd Baptist Church Cemetery. Floral tributes are welcomed.